The Practical Wisdom section of the website under the 'Reading' menu has been updated with the following diagram. 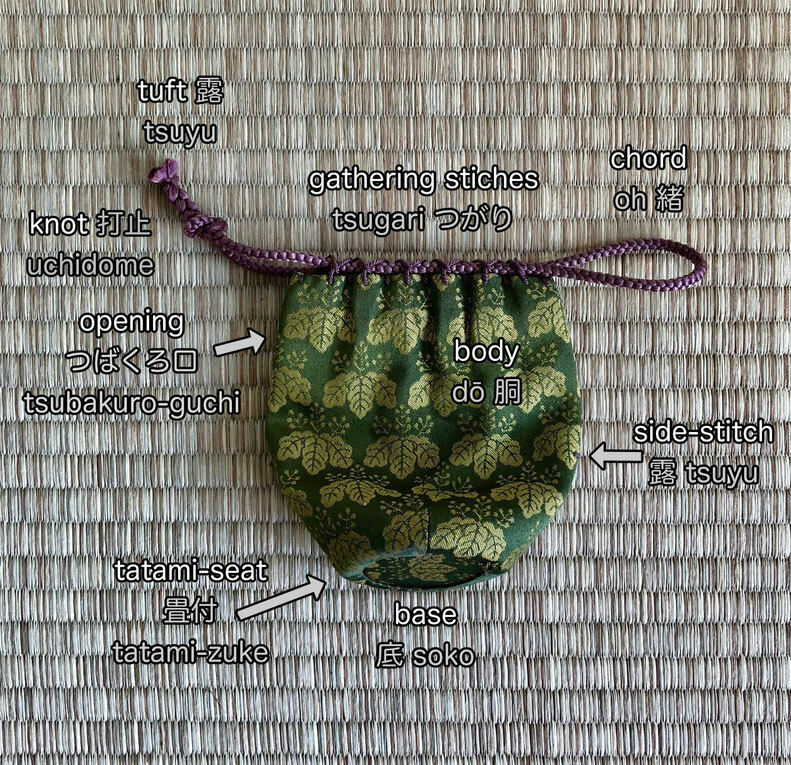 The diagram shows the nomenclature associated with the shifuku pouch for the chaire. English, the original Japanese and a romaji transliteration are provided.